Is There Any Chance Kirk Cox Could Become Governor? | News and Features | Style Weekly - Richmond, VA local news, arts, and events. Is There Any Chance Kirk Cox Could Become Governor? 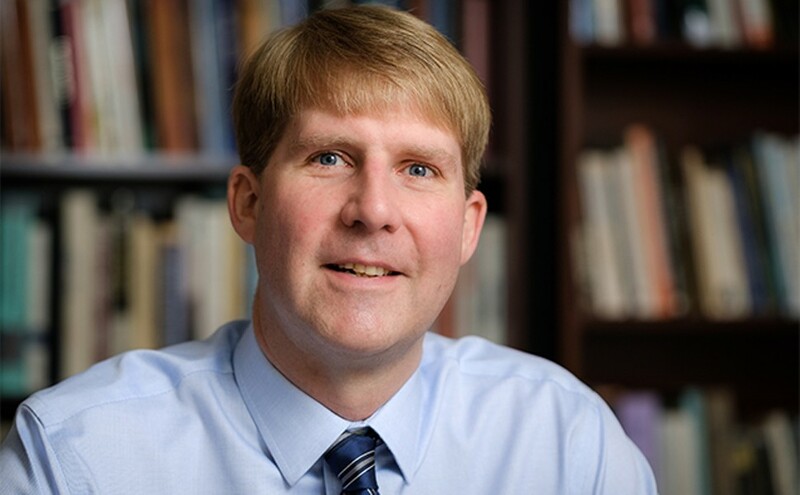 Constitutional questions answered by Wake Forest professor John Dinan. Photo Courtesy of Wake Forest University Wake Forest University Professor John Dinan, whose areas of expertise include federalism, state constitutionalism, state politics and American political development. He wrote the book, "The Virginia Constitution." Since some readers seem curious about whether “the people” have any recourse during the current political chaos rocking the capital of the Commonwealth, we put the question to John Dinan, a professor in the department of politics and international studies at Wake Forest University. He is an expert on the Virginia Constitution. Style Weekly: Since people voted for a Democrat governor, would they have any recourse should Republican Kirk Cox somehow ascend to the job? John Dinan: Anyone who succeeds to the office of governor in the middle of a term would serve out the remainder of the unexpired term and would also be eligible to run for and serve another term as governor. There is not a procedure by which someone assuming the office of governor midterm could be recalled or removed by voters, aside from the existing impeachment and unable-to-discharge-the duties-of-the-office procedures of the constitution. Now, the chances of Kirk Cox actually assuming the office of governor during this term are extremely low, if not zero. There are virtually no realistic scenarios in which Democratic officials would allow the governorship to be turned over to a Republican prior to the 2021 election. First, the Virginia Constitution allows for impeachment in cases of “malfeasance in office, corruption, neglect of duty, or other high crime or misdemeanor.” Similar to the process in place at the national level, it takes a majority vote in the House to impeach an official and a two-thirds vote in the Senate for conviction and removal from office. Second, in a provision that roughly tracks the 25th Amendment to the U.S. Constitution and was intended to apply to cases of physical or mental disability, a governor can be deemed “unable to discharge the powers and duties of his office,” as determined either by the attorney general, Senate president pro tem, and House speaker acting together or by a majority vote of all members of the legislature. Such a determination triggers a process that ultimately requires a three-fourths vote in the house and senate to remove a governor on the ground of inability to discharge the powers and duties of the office. Our question is who would oversee any impeachment trial in the Senate? The constitution does not specify who presides over an impeachment trial in the Senate. And I am not aware of any statutes that answer this question, though this may be addressed in statute law. The constitution merely states that the House shall be responsible for deciding to impeach an official, and it is done by majority vote, and that the Senate shall be responsible for holding an impeachment trial for that official, and it shall take a two-thirds vote of senators present to convict and remove an official who is impeached by the House.